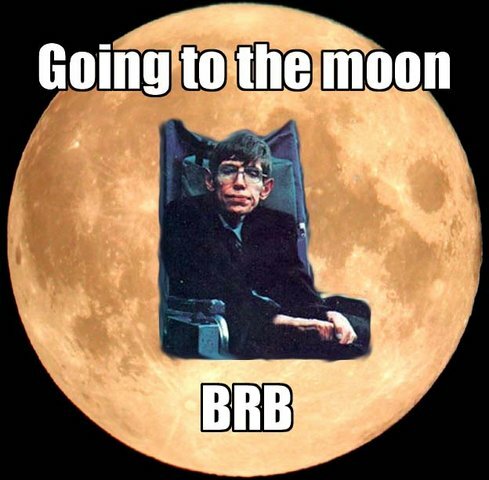 look kids, it’s Stephen Hawkings, and he’s going to the moon!Ã‚Â Maybe he’ll take some company? I thought it was funny, and chances are Stephen Hawking might, too. He DID provide his own ‘voice’ for that one Family Guy episode… “Oh oh oh yes oh yes…” and so on.